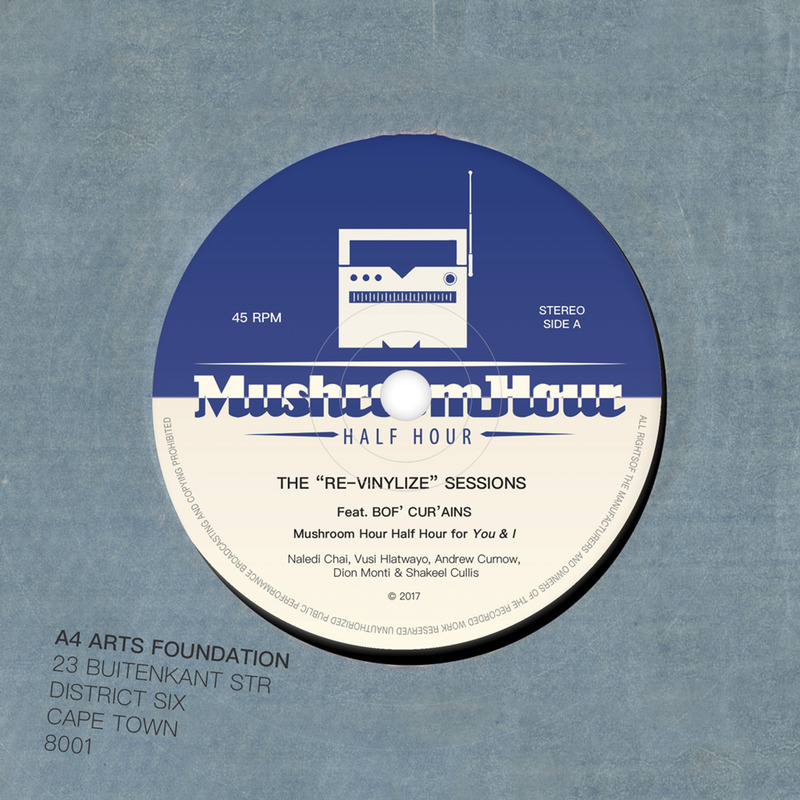 Artists in Residence Mushroom Hour Half Hour perform the "Re-vinylize” sessions. 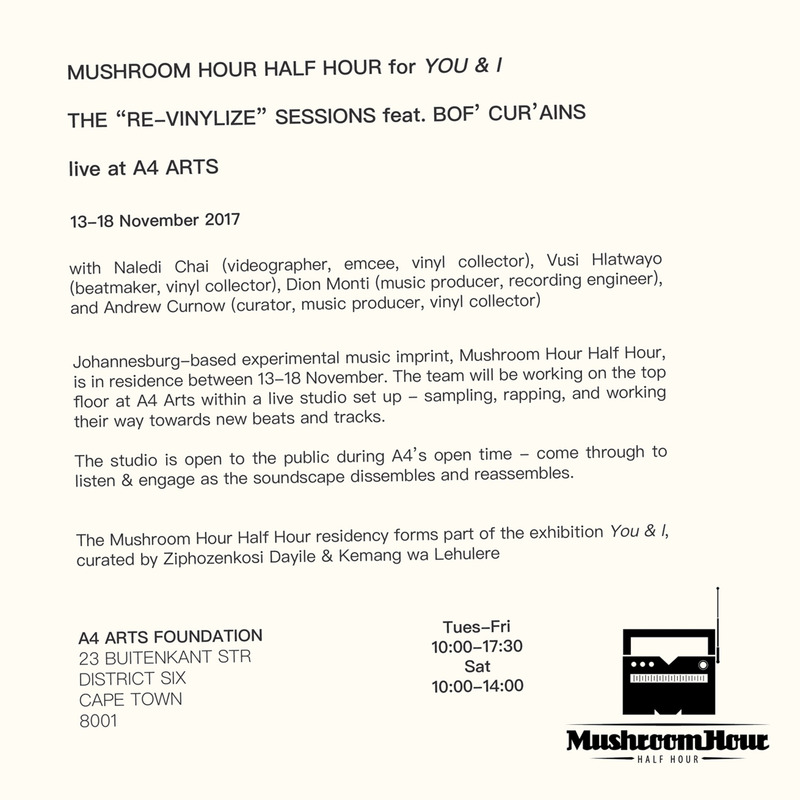 Mushroom Hour Half Hour is a Johannesburg-based, experimental music imprint that includes Naledi Chai aka Bof’ Cur’ains (videographer, emcee, vinyl collector), Vusi Hlatwayo (beatmaker, vinyl collector), Dion Monti (music producer, recording engineer), and Andrew Curnow (curator, music producer, vinyl collector). The team work within an 'open studio' environment at A4 towards their Bof’ Cur’ains EP.